We always eat apples after removing the peel due to hygiene issues, ignoring the fact that it could be recycled. 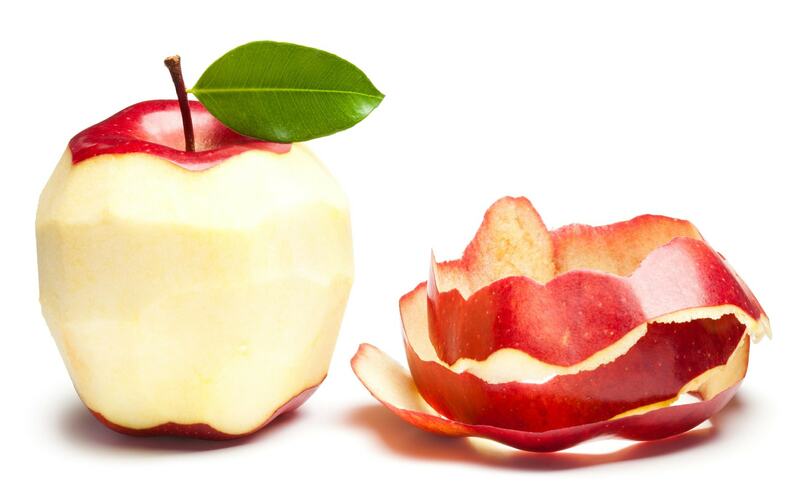 Here are the 6 “alternative” uses of apple peels. Apples are among the most healthy fruits but in most cases they are consumed without the peel, removed due hygienic issues. 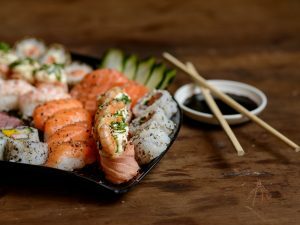 We have always been used to throwing it away without ever thinking about the fact that it can be recycled at home and in the kitchen in an effective and ecological way. 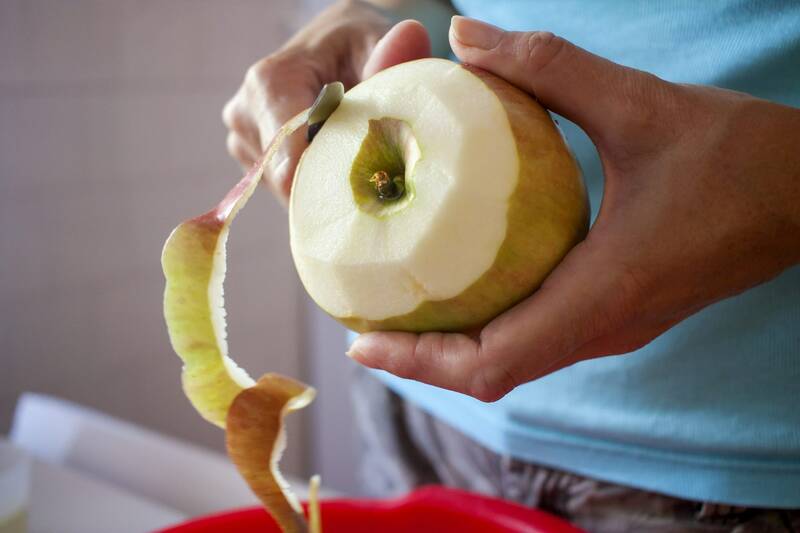 Here are the 6 "alternative" uses of apple peels. 1. 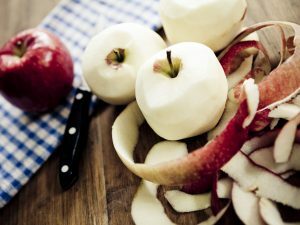 Garden fertilizer – If you have a vegetable garden or a terrace with plants, you can recycle the apple peels very effectively. Just chop and mix them with other organic waste to get a "homemade" mixture to be spread in the soil. In a short time, the plants will begin to sprout. 2. Fragrances for cabinets – The apple peels can also be dried in tin boxes to be used as fragrances for cabinets. They must be cut into small pieces and, once dried, placed in cotton bags. The drawers and cabinets will thus emanate their typical fragrance. 3. Infusions and herbal teas – Those who love infusions and herbal teas can also make them at home with 100% natural products. For example apple peels, when dried and mixed with hot water, give life to an infusion with a tasty and intense flavor. 4. Clean the pots – The apple peels contain acids that are able to remove the difficult incrustations from the pots. The secret is to boil them for 30 minutes in the dirty pots: at the end of the operation they will shine again. Homemade desserts – Apple peels can also be eaten and turned into mouth-watering desserts. They must be cut, placed in a saucepan with sugar and water and left on the stove for a few minutes. After drying them, the result will be incredible. 5. Apple jelly – You can use everything from an apple, even the cores. The secret to recycling them? Making an apple jelly. To prepare it, it is necessary to cover the cores with lemon juice before boiling them for half an hour. At this point, you must filter the mixture with a colander for at least 5 hours and add sugar and a gelling sachet. You must then cook it for another half an hour before storing the obtained jelly in sterilized jars. Of course, before consuming it you have to let it cool.